Patients now have a choice between Lipitor and the Atkins Diet if they have been told to lower their cholesterol levels. Atkins dieters lose more body fat, lower their triglyceride levels, and raise their good HDL cholesterol levels. The debate between Lipitor and the Atkins Diet rages on for those concerned with the onset of heart disease. High Cholesterol sufferers who are concerned with how to lower their lipid profile have a choice between a highly-acclaimed drug — or an odd-sounding diet that’s been mocked by experts for over thirty years. Yet in the past few years in controlled studies at major universities, Atkins dieters lost more body fat, lowered their triglyceride levels, and raised their good HDL cholesterol levels more than the people following a rival low-fat diet plan. To give you a general idea of how the high-protein, low-carb Atkins Diet Menu Plan works, you can eat an unlimited amount of meat, eggs and cheese daily, supplemented with two cups of salad and one cup of low-carbohydrate vegetables. There are no breads, milk, pasta, refined sugars or high carb veggies such as potatoes or corn allowed. Your carb intake is limited just 20 grams a day. Its sounds like the Dr. Atkins Diet plan breaks all the rules of the healthy “pyramid” foods plan for a well-balanced diet, yet the study results have astonished researchers. Patients who have been told to lower their cholesterol levels now have a choice between Lipitor and the Atkins Diet. 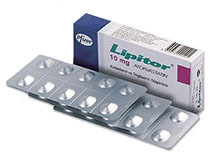 Yet while the diet doesn’t appeal to some people, the horrors of Lipitor may make them want to try it. Pfizer, the maker of Lipitor, is battling numerous class action lawsuits filed by people who have taken the world’s number one prescribed cholesterol-reducing drug and suffered serious and irreversible side effects. These problems include nerve damage, muscle pain, memory loss, and other issues involving the central nervous system. Were this just a handful of unfortunate patients it would be one thing, but too many people have come forward complaining of permanent life-altering side effects brought on by taking Lipitor. In fact, as statin drugs continue to be the big moneymaker for drug companies, new studies are hinting that the great cholesterol alarm has all been for, well, profit. And the scare has launched new debates: Just how bad is cholesterol? Is it, in fact, the cause of heart disease? 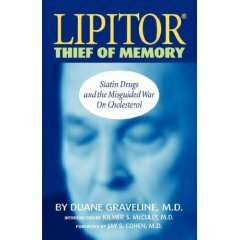 Duane Graveline, M.D., a former astronaut and NASA physician, the author of Lipitor: Thief of Memory, is one of those who points out that the increased incidents of cancer from statin therapy more than offset the slight decrease in deaths from cardiovascular disease. The choice between Lipitor and the Atkins Diet is like a choice between taking a pill that gives you nerve damage or eating a hearty breakfast of steak and eggs every morning. It sounds almost scandalous, doesn’t it? The research continues but the consensus seems to follow a natural approach to lowering cholesterol (that is, if cholesterol is such a bad thing after all) - through exercise and a diet that is high in protein and low in carbohydrates.